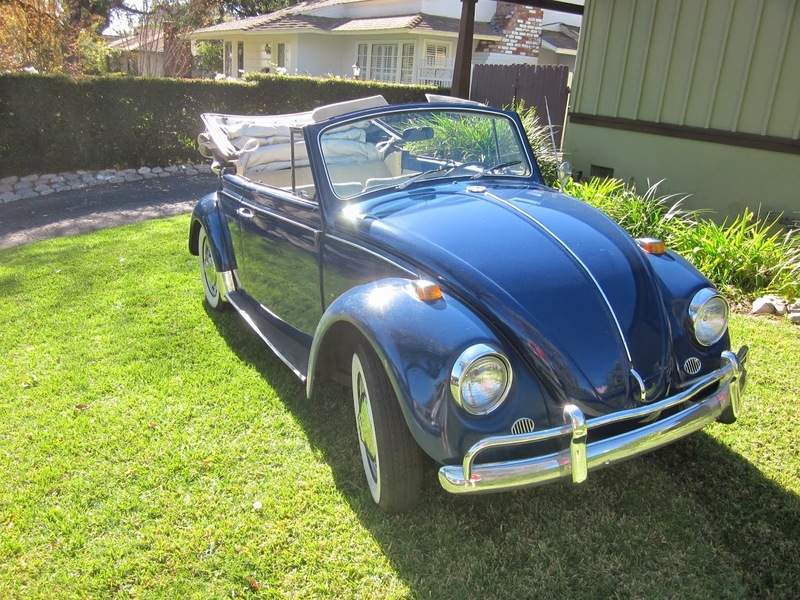 Just sent over to 1967beetle.com, this L633 VW Blue ’67 Vert is a fantastic car with a unique history. I’ll let Tim take it from here. 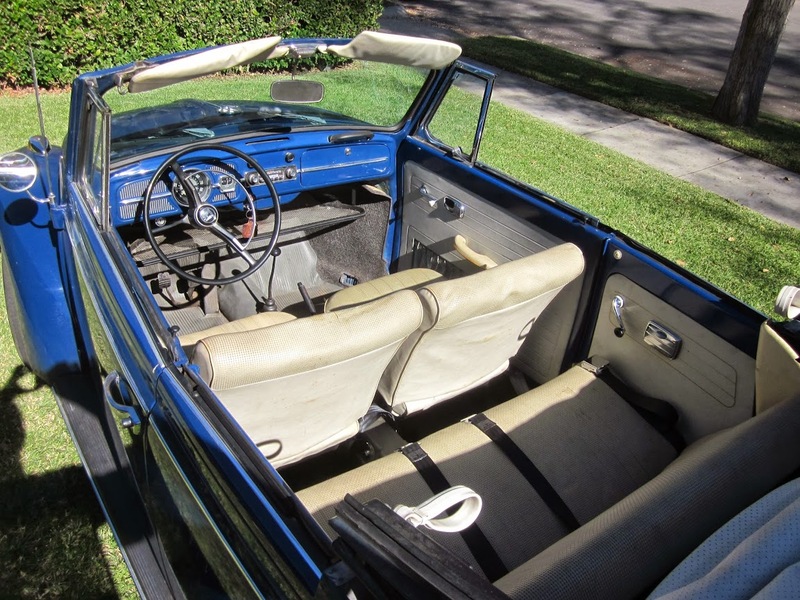 I recently “adopted” this 1967 Convertible and I thought your readers might get a kick out of seeing it. 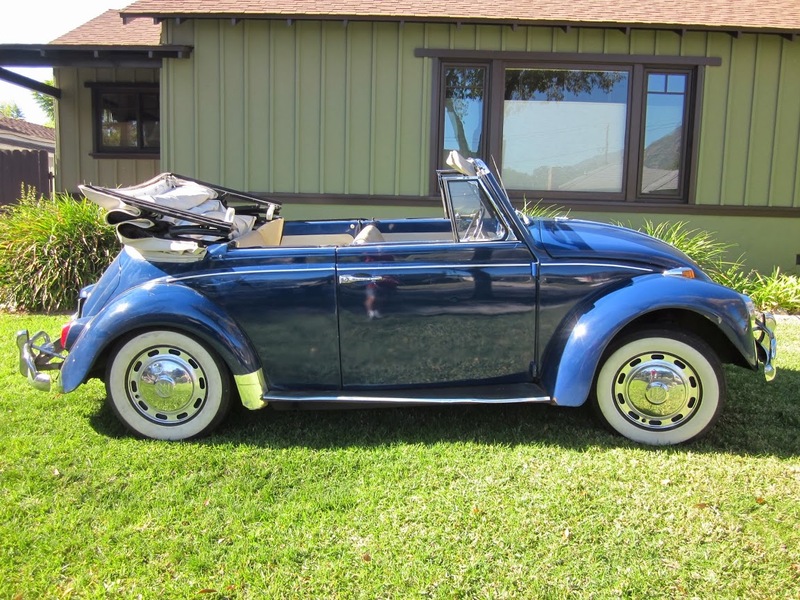 I love 1967beetle.com and appreciate your attention to this special “One Year Only” car. 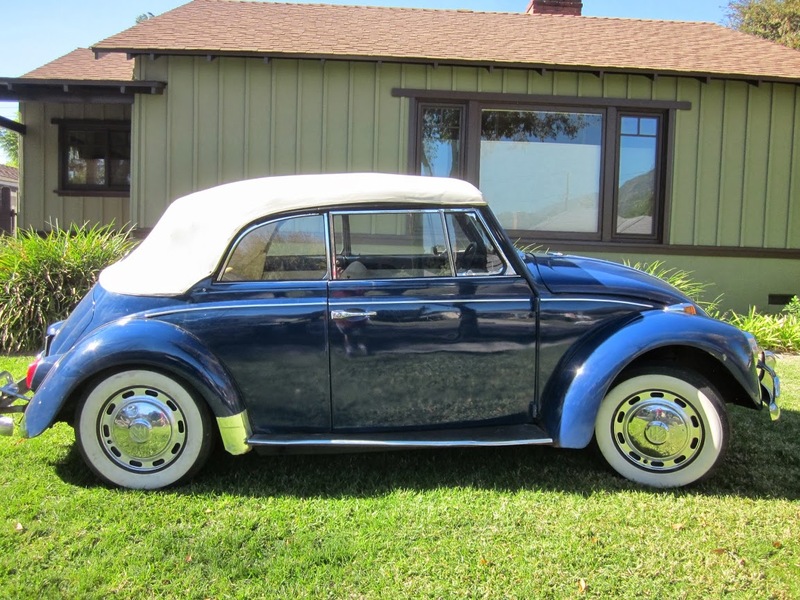 My friends grandmother purchased this VW bug on Sept. 26 1966. She loved this car and rarely drove it. It has an astonishing 19,800 original miles! 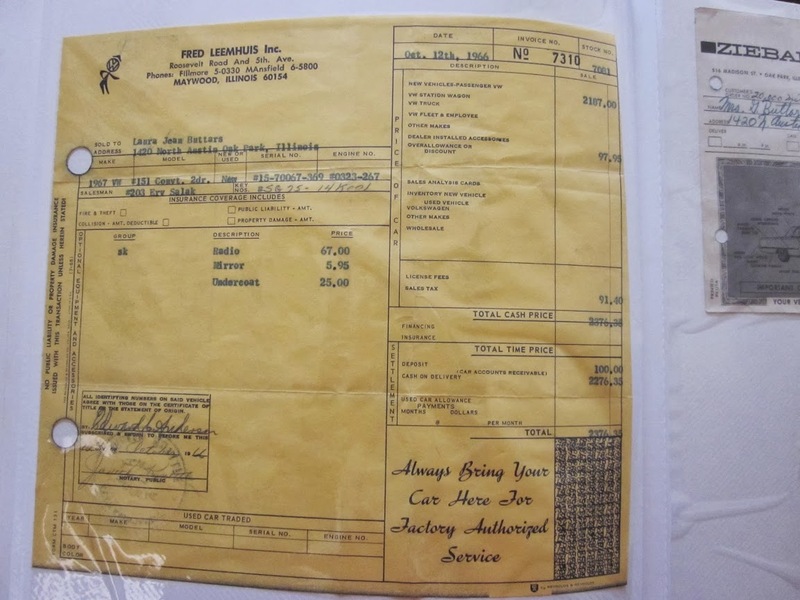 I have every receipt from day 1, including the window sticker, sales receipt, owners manual, etc. When she passed away a few years ago our friends took the car, but found it difficult to care for it. 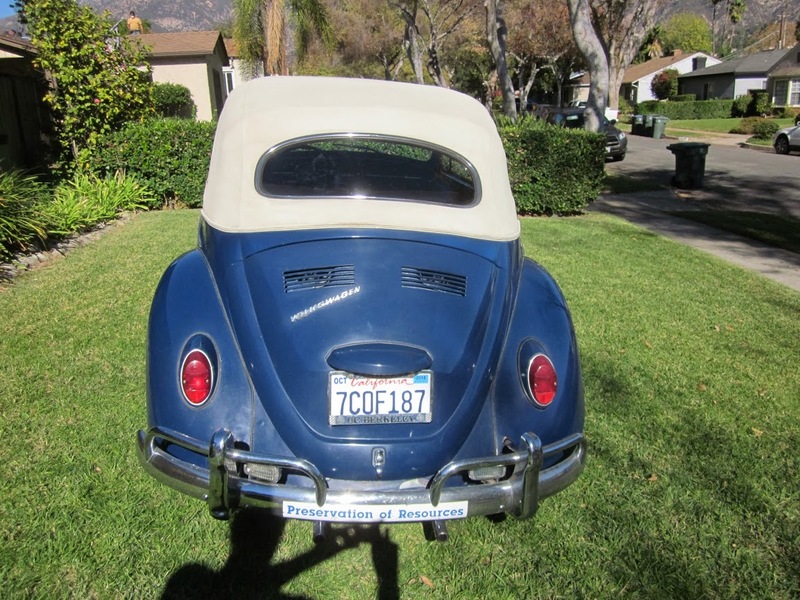 Since I love VWs (I owed a 1963 Transporter Panel 10 years ago), I adopted the family heirloom about a month ago. Given that this car spent it’s whole life in Illinois, there was some pretty bad rust damage to the under carriage. I had the support rails replaced, the shock towers replaced, and the metal under the both front fenders replaced. It cost a small fortune, but it saved this car from literally falling apart. Other than the rust repair, this car is relatively untouched and was not driven for most of the 70s and early 80s. The previous owner replaced the top in 1985, rebuilt the engine and transmission and painted it in 1993. It was in a small accident and I believe that she replace the right front fender and rear bumper. 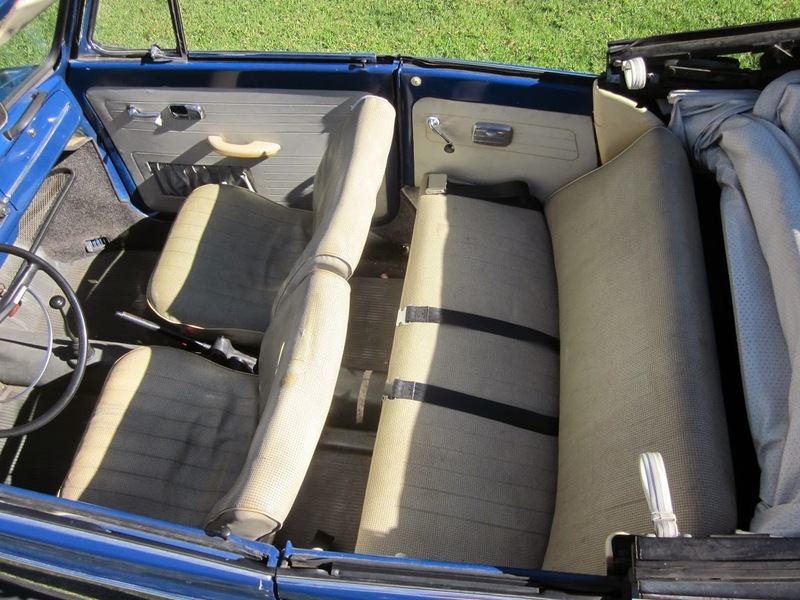 The interior is original and the seats have a fantastic patina. When you get in, it feels like 1967. My plan is to leave the car in this “as is” condition. The best part is the nicely worn interior. I will drive it mostly on the weekends, trying to keep the milage low, but knowing that this car needs to be on the road and shared with others. 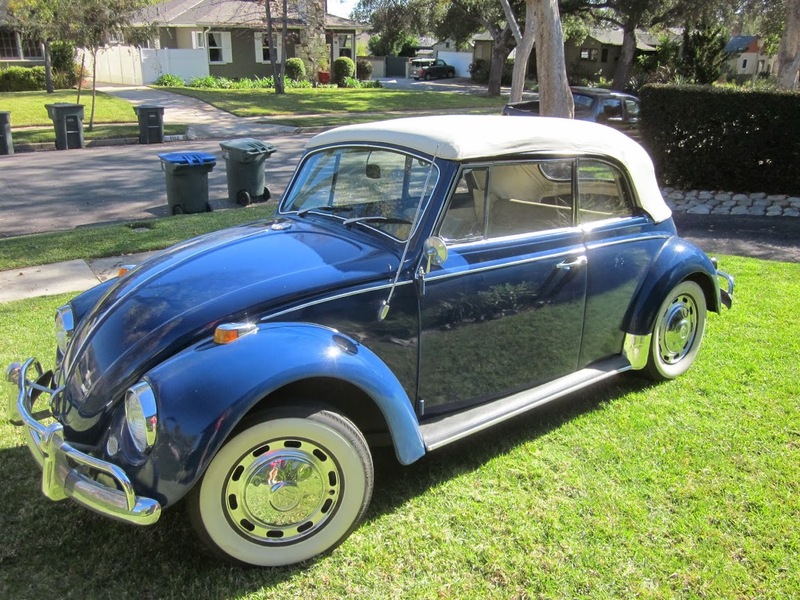 Thanks, Tim, for sharing your ’67 with 1967beetle.com. This car would be perfect here in So Cal. Top down, putt along. 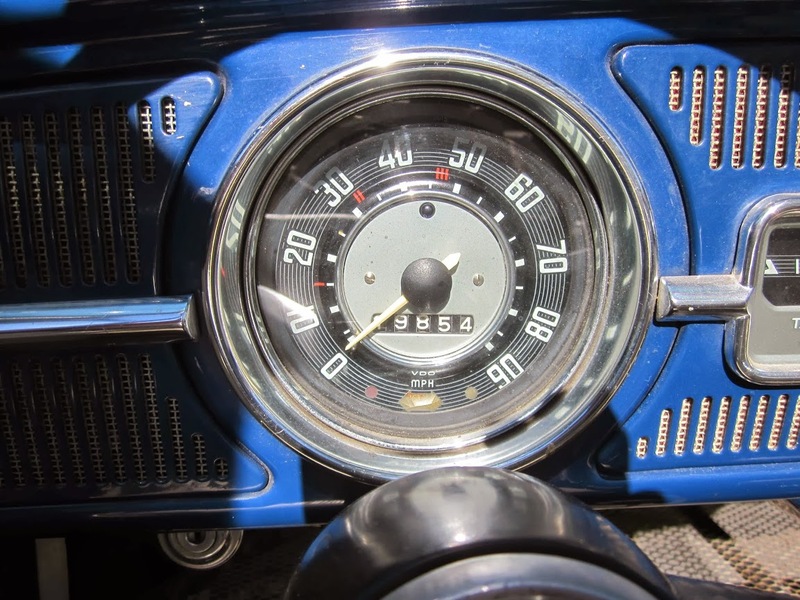 Nice low mileage 67! A very very nice car! Thanks guys. I agree, this is a nice one. I’m curious about the paint, as the ’67 did not normally come in this color. Jay, do you have any wisdom? Wow what a nice looking vert! Congrats Tim and thanks for sharing it with us! Eric is right about the color, I think I read somewhere that this specific model was only offered in Yukon Yellow but I could be wrong! At any rate, it is a rare one. What I can’t figure out is why would you need to rebuild an engine if it only has 19000 plus miles on it? I mean the car was hardly ever driven! 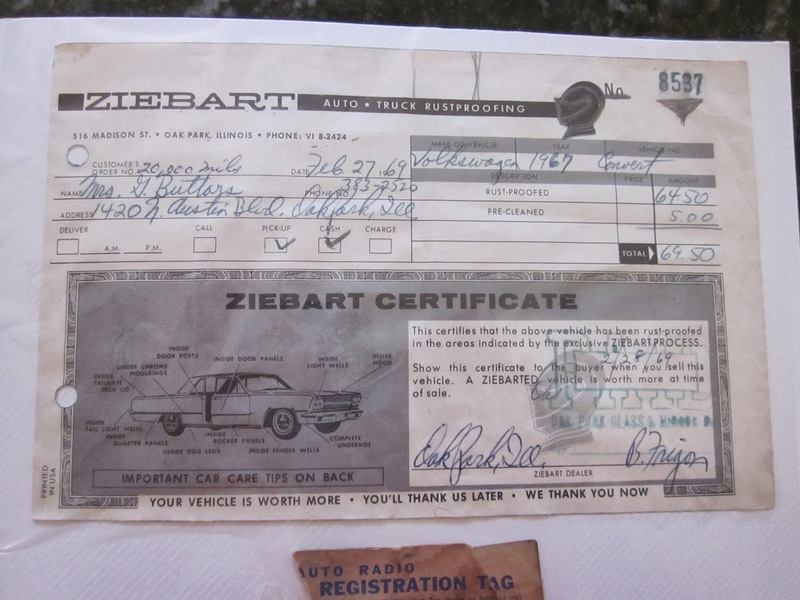 I have a ’67 Ruby Red sedan built early on in the production year (as Tim’s was). The dash and window crank knobs are the plastic (bakelite?) ivory-colored ones, as is the steering wheel and shifter knob. I’m wondering whether they’ve been changed out or were original to the early ’67s. Also, the front lap belts are bolted to the body with no swiveling holder as on most ’67s. Was this handy holder introduced later that year? I know that some changes were made to these cars around mid-year, but am not clear as to what they were. Any info. would be appreciated…Thanks! Really great info. Thoughts on the paint color? 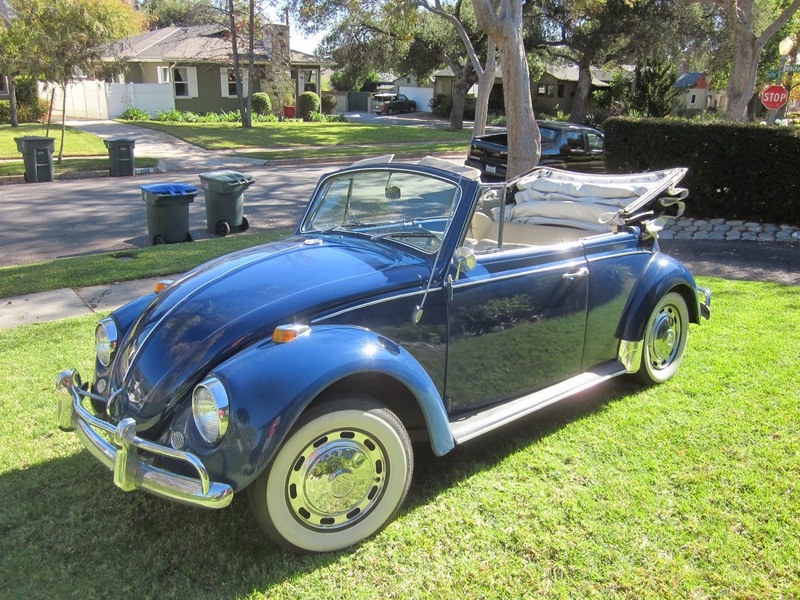 all of the 1967 Beetle colors were available in the convertible. Yukon Yellow and Poppy Red were 2 additional colors available to the convertible only. Hi Jay, ..wanted to thank you for the speedy response regarding my apparently switched-out parts. As I prefer the ivory knobs and wheel, which are all in very decent shape (I know they had a tendency to develop cracks over time). I will be wanting to find the original seat belt holsters, however, which makes it much more convenient to buckle up. As an aside, I am impressed with your using the word “appurtenances,” one that you don’t hear much at truck stops or in general parlance at any venue. I’ll be looking to use it in a game of scrabble, but doubt I’ll get the appurtunity to do so. All my best to you and hoping you enjoy the holiday season! Yes, I have ideas for a board of sorts. Building what Everett first did for TheSamba isn’t hard, it’s just a matter of managing it properly. He does runs it full-time, where as I am running 1967beetle.com pretty much between meetings at work, nights, weekends, etc. 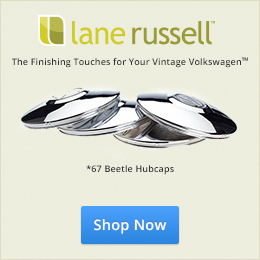 I’d love more of your ideas for the future, as 1967beetle.com exist for everyone. I welcome feedback about making the experience better. Very Nice Tim. The history, documentation and mileage far over shadows every thing else. Indeed a rare survivor thanks to you. Insure well and enjoy it. Part of an old quote that still rings true. Thank you all for the comments. 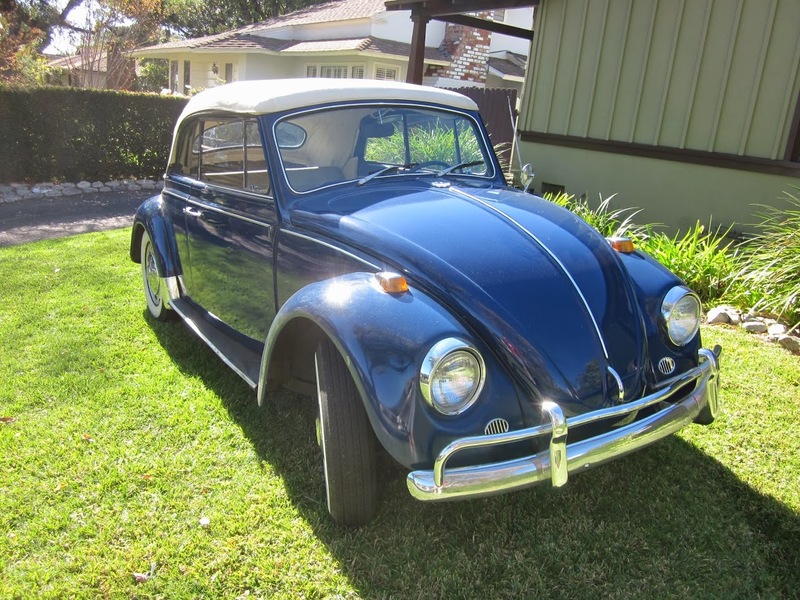 I have always been impressed with the VW community at large, so it is even more of a treat to find and even smaller community devoted to this one year only car. Regarding the paint color, I am certain that this is the original color that came from the factory. I have seen pictures from when they purchased the vehicle and it is the same color. 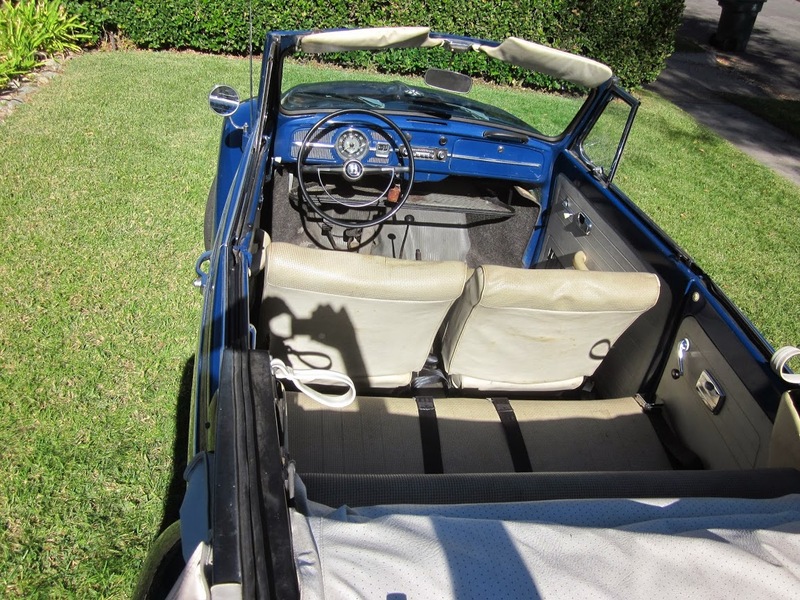 Plus, the door jambs, dash, and other inner areas were not painted in 1993, when the exterior was painted. I know this because I have photos of the car being painted and you can see that the interior is untouched. I did not realize that this paint combination was a rare color! Regarding insurance, I would love some help or suggestions to figuring out the value. I took it into AAA and had it insured for $15K. The insurance agent said I would be lucky to get 5-10K if it was stolen. Given that I live in Southern California and anyone with a coat hanger could steal this car, that was a little shocking. Any recommendations on a replacement value? 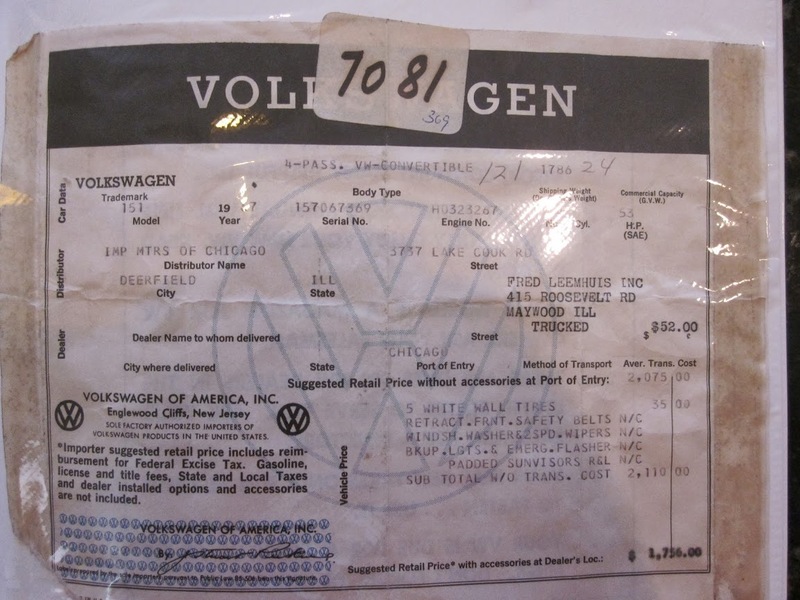 I was thinking about insuring with Haggerty’s, since they specialize in antique vehicles. Has anyone had any experience with this insurance carrier? Great info! Hands down, give Grundy a call. 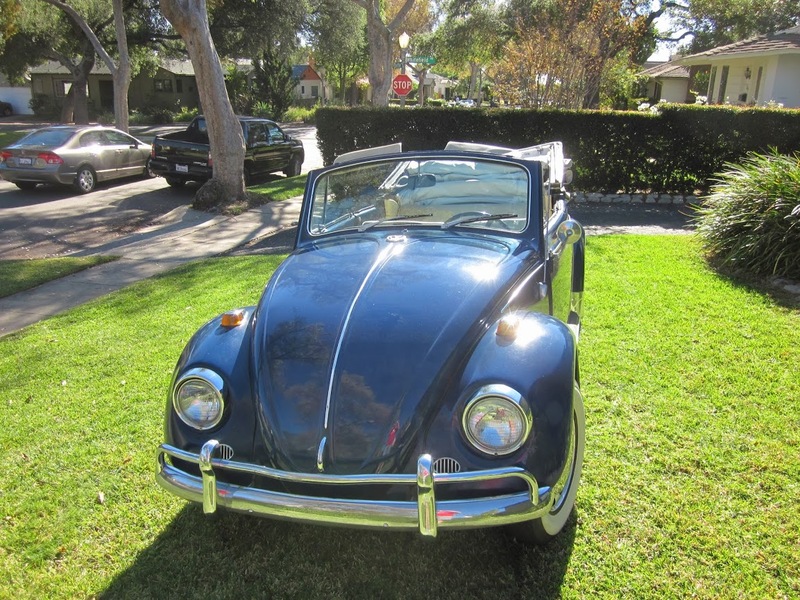 I have my ’67 Beetle insured for $30,000 agreed value. No questions asked. They are a bit easier to deal with than Haggerty’s. There are some rules, like the car has to be garaged and not your daily driver. But, I’m sure you garage it anyway. Call me if you want to talk about this further. 404-377-2950. The ’67 community is here for you! Tim…I am insured with Hagerty’s. Some side benefits are their magazine and regular e-mail news up-dates–always with stories of interest about vintage cars. As well,because I am insured with Hagerty’s, I am associated with the Historic Vehicle Association. This gives me insights into what is happening in my home State as well as Nation-wide regarding Government vehicular regulations. 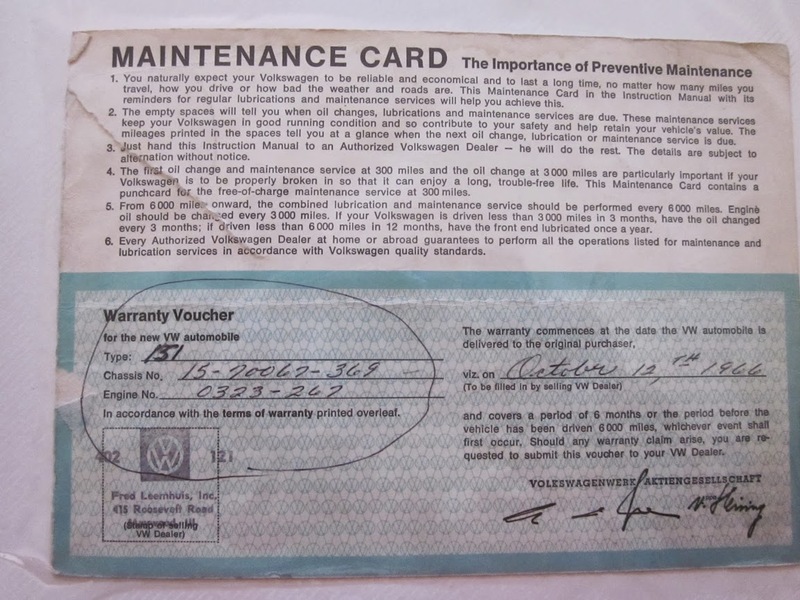 The vintage vehicle restrictions are easy–have an enclosed garage, the vehicle cannot be a daily driver (but you can go to automotive events, the mechanic shop, parades and the like) and you must show proof that you have other transportation for your daily needs. My insurance rate dropped to 1/4th what it was under a regular insurer and gave me superior coverage. This coverage complies with state requirements, of course. If I am driving and become stranded, I can call Hagerty’s HotLine and they will send a flatbed transporter to fetch me and my car to a safe destination. 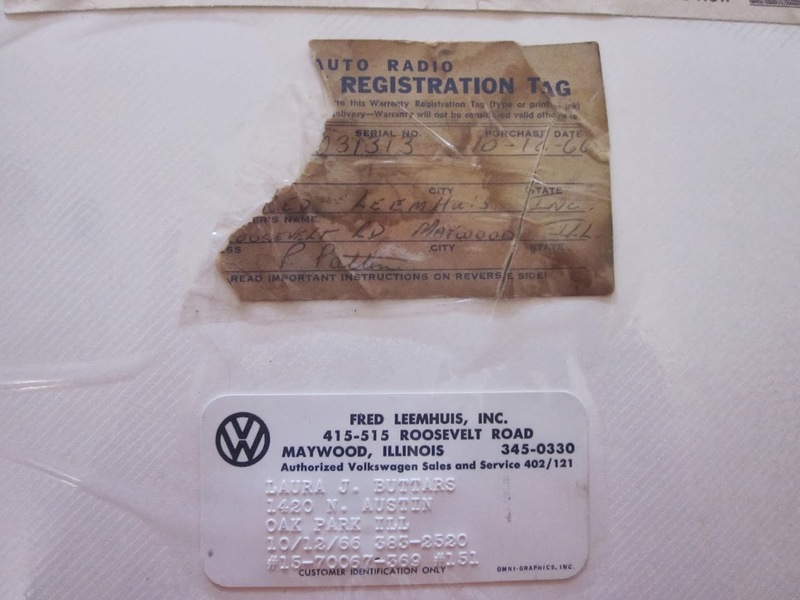 Secondly, I have registered my car with the State as a Classic/Antique Automobile. In Texas, this removes the need to have yearly road inspections. As well, I need to renew registration only every 5th year–a great savings. Who wants to spend extra money on a hobby which he wants to enjoy. In the end–ask plenty of questions of the insurer which you choose to use. Know what you are getting! 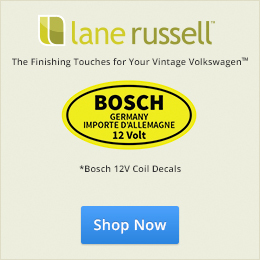 Regarding the altering of your Convertible–I am glad that you are resisting. As I tell everyone…the alterations to my own car have devalued the vehicle. And, my alterations are quite mild ones. Enjoy the ride–as VW said: Happy Motoring! One more thing- The rebuilt engine. In 1992-1993, from what I can gather from the records, they attempted to get it running again after sitting for well over a decade. My guess is that it was easier to overhaul the engine and start fresh since it had not been running for so long. I am just thankful that they chose to keep the same engine and did not trade it in for a core, keeping the matching numbers. The answer is NO to both of those statements. I so hate comments like that. It’s what ruins these cars. Some people would argue with me on that. However, a stock car will ALWAYS bring a higher value. Keep it that way. Hi Tim, I too like Jay, are insured with Haggerty as well and I previously had my 67 insured with AAA but they couldn’t even come close to what Haggerty was offering me! Besides all of the perks as Jay mentioned, I only pay $208.00 a year for full coverage with a total value of 10k but every time I do some sort of improvement to it, all I do is snap a picture of it and then email them the picture explaining what the improvement is and what the new value of the vehicle is. I’m really glad you have decided not to alter your car at all! I do however suggest if I may , that you get rid of the wide white wall tires and suggest that you consider the BF Goodrich 3/4 White Wall tire radials from Coker. They ran me slightly under $1000 for all five but they look do much cleaner than the wide white wall tires and less tackier if I may say so. Go to http://www.coker.com ! Tim, you also mentioned that you were concerned with the fact that someone could easily use a coat hanger to easily break into your car? Well, I don’t know if you were serious or not, Wolfsburg West sells a couple of safety items that you may want to install in your car such as the vent window locks and also a shifter lock that is installed around the base of your shifter! Also… I think there is a parts section here. Thanks for the plug. Yes, we have 3 classified sections.